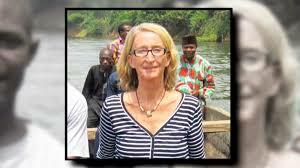 The American missionary worker, who was kidnapped in Kogi State, Mrs. Phyllis Sortor, has restated her commitment to complete God’s design for the state, saying that she has erased the memory of her abduction a few months ago. Sortor disclosed this yesterday when she visited the Deputy Governor Yomi Awoniyi in his office in Lokoja, the state capital. Awoniyi, on behalf of the governor, Captain Idris Wada, commended the courage and tenacity of the missionary for her resolve to return to the state and continue with her school and cattle grazing project located in Emiworo area of Ajaokuta Local Government Area in the state. The deputy governor assured her of government’s continued support in ensuring that she provides education for children of nomads and in the establishment of a grazing field. He also felicitated with the Fulani community in Emiworo, which he said was pleased with her work in the area. He assured her of the government’s determination to create an enabling environment to provide quality education for the children of the nomads and a better grazing field for their cattle. In her remarks, Reverend Sotor thanked God for rescuing her from the hands of her captors, an experience she described as terrible. She commended the governor for his support towards her education and grazing project, and also commended all the stakeholders in Emiworo for their concern during her travails assuring them that she would continue her work of offering service to the community. She described the people of Kogi State as her people and friends, who have greatly assisted her in the progress of her project in the last 10 years. Reverend Sortor was abducted from her office in Hope Academy, Emiworo last February but was rescued two weeks later. It is uncertain if a ransom was paid to her abductors by the state government for her release.